When my husband had to go on a business trip to India, even though he’d booked tickets to take our son to an Arsenal match, I knew what I had to do. I’ve spent many a Saturday morning at the local rec watching the youngest play football, but had never been to a professional match. My son’s been a few times with his Dad, so he knew exactly where to go and what to do, while I was the baffled newbie. He got us to the Emirates Stadium very easily. I know very little about football and don’t like being in crowds so I was very apprehensive about going to the match but it was actually fine. We travelled to North London by train and tube and the closer we got to the stadium the more people we saw in Gunners tops and scarves. They were all walking fast in the same direction with a purposeful, serious look about them. The roads around the stadium were closed to traffic and there were a lot of police in evidence. My son said: ‘Don’t worry if you see a police van, they’re just here to help people.’ Bless him. The stadium is vast and seats 60,432 people. Our seats were in the family enclosure behind one of the goals and most of the people near us were fathers and sons with a smattering of women. It felt very safe and I was surprised that I didn’t hear anybody swear at any point. Refreshingly there was a huge queue for the men’s toilets and none at all for the ladies’. Once the match got going I was reminded of the pantomime we go to every Christmas. Just like in a pantomime there was a villain: Ryan Shawcross was booed every time he touched the ball. My son explained that the Stoke player broke an Arsenal player’s leg in a tackle three years ago and has never been forgiven. I said: ‘I’m sure it was an accident and he didn’t mean to.’ My son said witheringly: ‘Of course he did. Have you seen the footage?’. Um, no. Every so often there would be a chant of ‘If you hate Tottenham, stand up’ and everyone in the Arsenal stands, apart from me, stood up. What’s that all about? The match was between Arsenal and Stoke and nothing to do with Tottenham. I was confused. My son tried to explain: ‘It’s because they’re rivals’. ‘But why hate rivals? Why not just play football and be pleased if you win?’ I said. ‘Because otherwise there’s no point being a football fan,’ my son said, as if this were so obvious he shouldn’t need to say it. ‘Arsenal fans hate Chelsea and Tottenham because they’re near to us. We’re fine with other clubs except Stoke because of Ryan Shawcross breaking Aaron Ramsey’s leg’. Family travel lowdown: Tickets for the Emirates Stadium Family Enclosure are only available to club members. 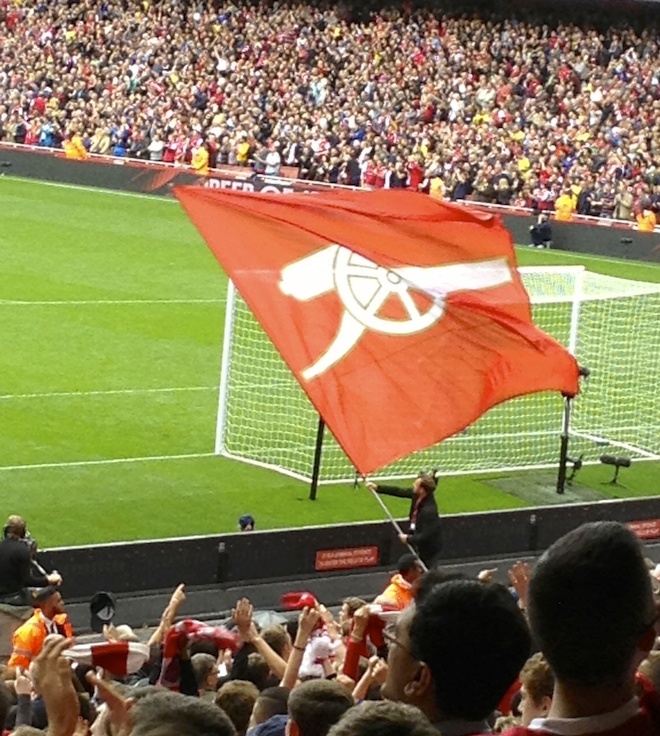 Children under the age of 16 can join the club as Junior Gunners which costs from £10 a year. It’s a bit of a worry, but I think it must be a football thing. Sounds like a fab (if confusing) day out! My son would love this, although I’m not sure if I could quite face it, even for him! It was fine, go for it!